Deandre Jackson is the man of 1004 monikers, at a young age the wrestling business captured his attention and imagination. The fast paced action and the intense storyline was an allure that he naturally gravitated to. He is an avid collector of wrestling DVD’s and memorabilia. Blessed with the gift of gab he captures the attention of every audience member. The Spartanburg, SC native began blazing his trail on the Southeaster Indy wrestling scene in 2007. He was trained by Chief Jay Eagles at his school in Spartanburg SC. 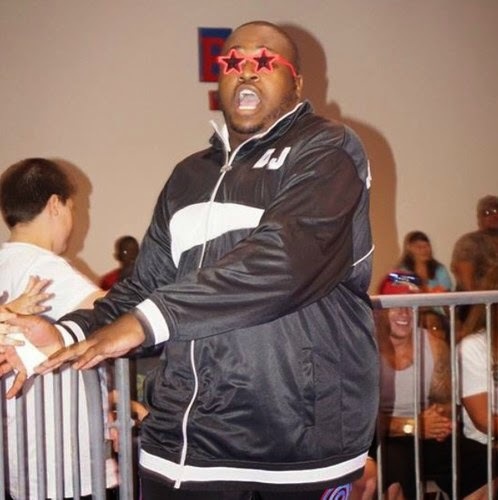 While learning the basics and taking his bumps, Deandre also continued his education at South Carolina State University where he obtained a degree in Early Childhood Development, his desire to train and become a professional wrestler never wavered. He trained on weekends and school breaks as he was eager to gain wrestling knowledge. Despite not having a typical training schedule on June 14, 2008 Deandre debuted for American Pro Wrestling in Spartanburg, SC. Being in front of a home crowd gave him the courage to compete in not one but 2 matches on the card. The first match being a Bare Foot Battle Royal and even though he didn’t last long in the battle royal, he was not discouraged setting his sights on his first singles match as a pro wrestler. Later that same night he faced off against Nick Fury. This match he displayed a little more skill, but he was still very green and lost via submission. Even with the lost he was ecstatic to be following his dream and in the footsteps of Booker T, Eddie Guerrero, Chris Benoit, and Dusty Rhodes all of whom were his favorites to watch as a kid. Over the years Deandre has become accustomed to the road life, traveling up I-95, I-85, I-20 and I-77 wrestling for various promoters under various ring names; Kronik and his given name Deandre Jackson being the most frequently used. As a big man Mr. 1004 monikers as he is now called has a unique style all of his own. At the right moment he can leap in the air and hit his opponent hit a devastating drop kick, hurricanrana, or head to the top rope and land with great force, all of which is rare for a guy 6’3 270lbs. He also can brawl with the best land bruising elbows, punches and a stiff running clothesline. Opponents a very aware not to get caught by the “Three Homies”, in tribute to the late great Latino Heat Eddie Guerrero, he catches opponents with 3 consecutive gut wrench suplexes. Although there are many pitfalls in the Indy scene, Deandre has endured everything from bad promoters not keeping their word on pay, to getting lost going in some small rural towns, even working sick. These rough occurrences cannot put out the passion that he has for wrestling and entertain the fans no matter how large or how small. His perseverance has led to him wrestling frequently for Southern States Wrestling (SSW), Old School Championship Wrestling (OSCW) and Platinum Championship Wrestling (PCW). 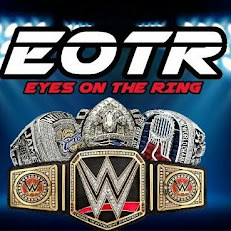 Today he is the current Southern States Champion and OSCW Intercontinental Champion, his hard work is paying off. You can also find him on social media killing the hashtags and posting funny pictures @mr1004monikers on both Instagram and twitter. You can keep an eye out on when Deandre Jackson will be in your area at modernlegendstatus.weebly.com.